PDF Electric & Supply Company, Inc. is an automation supplier with a corporate office located in Cary, North Carolina. We also have sales and engineering offices are located in Charlotte, North Carolina. Our International sales department is fluent in English, Spanish, Italian, and Portuguese. 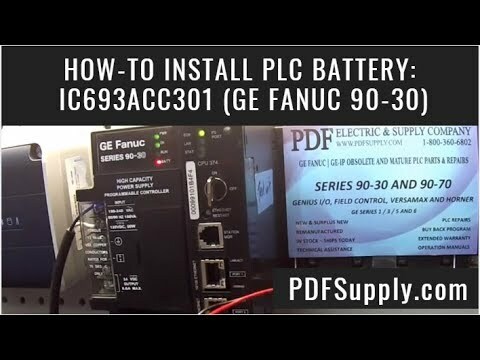 Our 30 years of experience with Allen Bradley and GE Fanuc PLCs allows us to deliver quality products and superior technical support. We maintain a large inventory of Allen Bradley and GE PLCs while providing 24 hour turn-around on most repairs. Our engineering staff is available for on-site programming and startup assistance. PLC upgrades and retrofits continue to be our specialty. Samples of the proper migration path from GE Series Six, GE Series Five, General Electric Series Three and Series One PLCs ( PLCDirect Koyo 305 ) to the Rx3i or GE Fanuc Series 90-30 PLC are located under our support tab. PDF Electric & Supply Inc. sells new, new surplus and refurbished products which are sourced through independent channels. All warranties and support, if applicable, are with PDF Electric & Supply Company Inc and not the manufacturer. PDF Electric & Supply Company Inc is not an authorized distributor or representative for the listed manufacturers and makes no representations as to any quality control performed by any listed manufacturer on the products. The products listed on this website may vary as to their country of origin; the accessories, and other items included with the product; and the language used on the packaging, the parts, and any related instructions or printed material related to the products. This website is not sanctioned or approved by any manufacturer or trade name listed. Designated trademarks, brand names and brands appearing herein are the property of their respective owners. PDF Electric & Supply Company is an A&V Checked Supplier which has passed authentication and verification inspection by a third-party verification service provider. All legal business licenses and contact persons are verified for businesses which have been A&V Checked. Suppliers must be A&V Checked before becoming Gold suppliers.